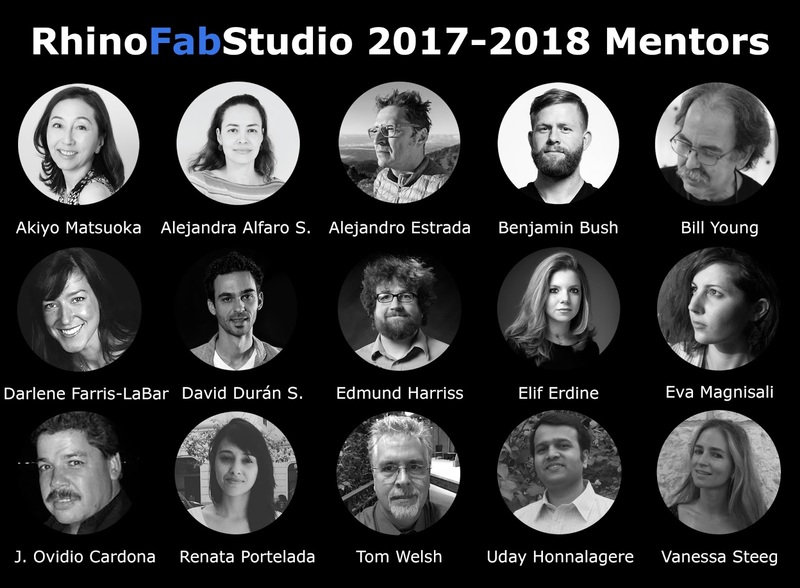 We would like to express our gratitude and introduce all the new RhinoFabStudio Mentors for 2017-2018. 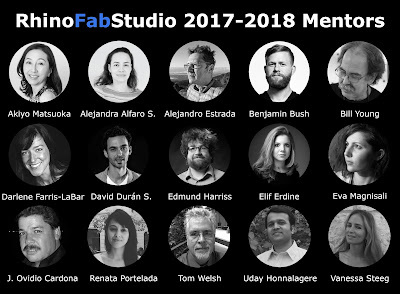 The RhinoFabStudio community welcomes these volunteers as our mentors for Product Design and Digital Fabrication. The RhinoFabStudio Mentors are professionals in their respective fields and are here to assist you with anything about the implementation of a RhinoFabStudio. To learn more about our mentors, please visit this link. Once again, we extend our thanks to the RhinoFabStudio Mentors. We truly appreciate their help! Note: RhinoFabStudio Mentors are unable to provide technical support. You may send your Rhino-related questions to tech@mcneel.com at any time. What is a RhinoFabStudio? A RhinoFabStudio™ (fabrication studio) is a small-scale digital workshop, certified by McNeel, with an array of Rhino and Rhino compatible software and computer-controlled tools and training. These tools cover the various leading-edge industrial methods and materials needed to design, analyze, and fabricate almost anything.